FORMER Governor General Quentin Bryce visited Gladstone on Monday for the launch of Boyne Smelters' month-long domestic and family violence awareness raising campaign. She was deeply touched by general manager Joe Rae's passion and commitment to help reduce domestic violence in the Capricornia district. Her grace - and ability to share a laugh - was shared with industry leaders who joined in support of BSL's campaign. Ms Bryce is chairwoman of the Premier's Special Taskforce on Domestic and Family Violence in Queensland. Boyne Smelters has launched a month-long domestic and family violence awareness raising campaign amongst its 1100 employees and contractors, which will culminate in White Ribbon Day on November 25. Ms Bryce unveiled large white ribbons BSL has put on its fleet of crucible transport vehicles, the mobile equipment which carry molten aluminium on site. The vehicles are recognised as the 'arteries of the plant'. 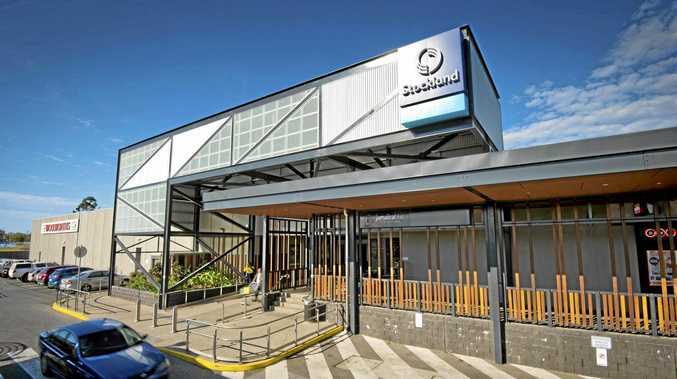 The Capricornia district, of which Gladstone is a part, is 97 per cent above the Queensland reported average rate of domestic violence incidents, and 82 per cent of reported offenders were male. Tribute to former Premier: MP Liz Cunningham pays tribute to former Premier Wayne Goss today at a Boyne Smelters Ltd event. BSL general manager Joe Rea attended a business workshop about domestic violence, and was alarmed by the statistics. "I left the workshop deeply impacted by what I had heard," Mr Rea said. "With more than 1100 people working at our site, I felt it was un-Australian for us to do nothing in the face of these statistics," Mr Rea said. "There are many deserving causes out there and it's great to see an increasing number gaining support. "However, given the frequency of domestic and family violence, be it by forced isolation, physical acts, emotional, verbal or financial abuse, I feel our response to date is disproportionate to the size and insidious nature of this issue." Dame Quentin echoed Mr Rea's words that "doing nothing is not an option". She is leading a review of the services and facilities available to victims of domestic violence in Queensland. "People are sending us submissions, getting in touch, ringing up with ideas, coming to meetings," she said. Member for Gladstone Liz Cunningham, who is a member of the taskforce, also attended the launch event.